I am an Arbonne devotee, and because my mom has sold the products for over a decade, I have learned the ins and outs of how ingredients affect your skin and body – which means I try as hard as possible to not use any skin care products that contain mineral oil or other harmful chemicals made from crude oil or animal by-products, and definitely opt for products not tested on animals when possible, too. Formulated without: Animal ingredients (including carmine, beeswax and lanolin), animal testing, FD&C colors, mineral oil, parabens, phthalates, petroleum, porpylene glycol, SLS, gluten, peanut oil and other ingredients you don’t want on your skin. I have been testing out lip color here and there, and this is tied for first for my favorite lip product so far! 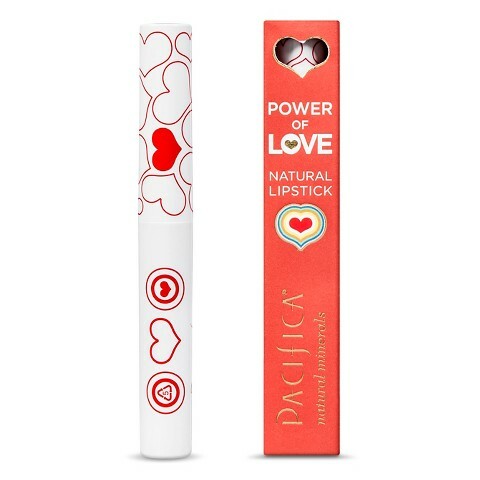 The packaging is perfect – slim but not too small, pretty, and the actual lipstick is just the right shape. The color looks great – a little daring but not too bold, and I prefer the matte look to a shiny one. I received this razor for free from BzzAgent, but I have been using the product for years (since I got married, to be precise. ;)). The razor was re-designed, and the new features include a water-activated moisturizing serum. Don’t be shocked, but I don’t use anything except for water when I shave, so having some built-in moisturizer is pretty great – it makes the razor slide very smoothly! I’ve had the razor for a few weeks (months?) now and it still moisturizes and slides very easily, so I don’t expect it to run out anytime soon. My favorite feature about this razor is the waterproof bikini trimmer. What you do in that area is your own business, but I will confess that I like to be neat and trim. It’s a personal preference! But if you share the same desire, might I recommend this razor to you? It has a few settings so you can get the length you want. It’s extremely easy to use and you don’t even have to leave the shower! Or wax or any of that other crap. The only problem I’ve had so far (by the way, I love the blue color! The previous one only came in pink, which is probably my least favorite color. And it now has a built-in stand so the water drips off once you leave the shower, preventing rust or whatever) is that the razor is VERY sharp. I nicked my knee pretty deeply the first time I used the razor. So just be careful! But otherwise, enjoy the smoothness and taking care of all your lady needs! To be quite honest, this was the worst nail polish I’ve ever used. And that’s including cheapo kinds like the Forever 21 nail polish that costs two bucks. I had never used Covergirl nail polish before, but I bought some because it was cheap and I liked the color and oh my gosh, it was a disaster. The brush was small and didn’t pick up the polish correctly, and it was a mess to try to apply. I’m fine at applying nail polish, but I couldn’t get a nail that wasn’t gloppy or streaky. Yuck. The redeeming factor was that I emailed customer service and they gave me a coupon for $8 towards any CoverGirl product. I was mad at first because why would I ever buy anything from them again? Then I realized I didn’t have to buy another nail polish. I ended up getting a lipstick or something, but didn’t love it either, so I took that back too. Meh. I got caught again by a cheap product from the Target clearance section. 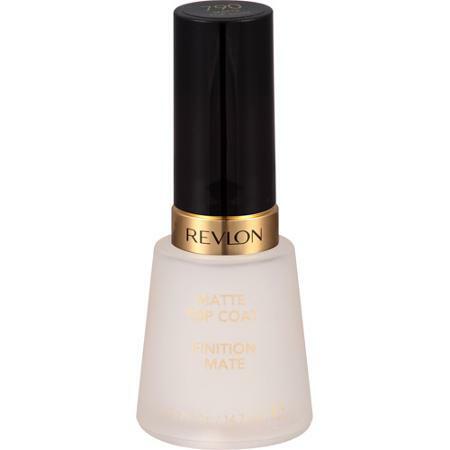 I quickly grabbed this top coat, because it was on sale, I needed a new one, and I’ve been using Revlon for years. Two uses later I realized that this wasn’t the normal quick dry top coat that I usually get (ps – this one is great too), but some weird thing that turns your shiny pretty nail color all matte. I used it over a new polish (a pretty watermelon color that I love!) and was bummed that it was matte instead of glossy. Then I realized that the same thing had happened with my previous coat of polish, and I figured out that it was the top coat making it do that. That might sound dumb, but the polish was unlabeled, so how was I to know?! I can’t find it on the website, but watch out! Make sure you know what you’re buying. (But hey, if that’s what you’re looking for, now you know it works! I’m an Arbonne snob too 🙂 So glad to hear there’s a cheap version at Target! I never realized how little I cared about my skin until starting to use Arbonne….and now I can’t go back…but also can’t afford it all! Love this list!